Bluestone Lane, New York's premier coffee experience, is on the lookout for energetic and experienced Team Captains (Shift Supervisors) to join the team. 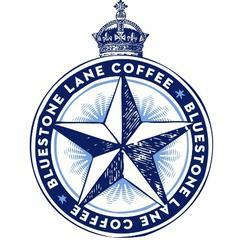 <br><br>Bluestone Lane is an Australian inspired, primarily New York based café and coffee brand (but fast expanding around the US!) that makes a difference to our Locals' daily ritual, every day. With a keen attention to detail, quality and service we are looking for the best in the business to join our team. If you thrive in a fast-paced environment, are a team player and have customer service experience then we want to hear from you. <br><br>Our Team benefit from: <br>- World class coffee training programs <br>- Amazing career development opportunities <br>- Average hourly rate $15-$22/hour (wage is inclusive of tips)<br>- Daytime hours<br>- Company discounts <br>- Healthcare (for full-time staff) <br>- Fun team events <br>- Great working environment & company culture<br><br>Our Team Captains are responsible for assisting the Store Manager in maintaining a cohesive, efficient and positive store environment. They are responsible for consistently exceeding local’s expectations through the service of high quality coffee, food and other beverages in a clean, hospitable and comfortable atmosphere. The Team Captains act as manager on duty in the absence of a Store Manager.<br><br>Find out more about us at www.bluestonelane.com. <br><br>We hope to hear from you soon! Bluestone Lane New York is posting their hospitality jobs on Harri.